Peru is known for it's delectable cuisine and the city of Cusco is no exception! Here are our top 25 picks of the best restaurants in Cusco! I’ve eaten in a lot of restaurants in Cusco, and my meals -- usually chifa (Peruvian Chinese dish), pollo a la brasa (roasted chicken), or chicken milanesa -- cost anywhere from 5 to 7 soles. They are good, but if you want a little bit more, head to La Cusqueñita for lunch. 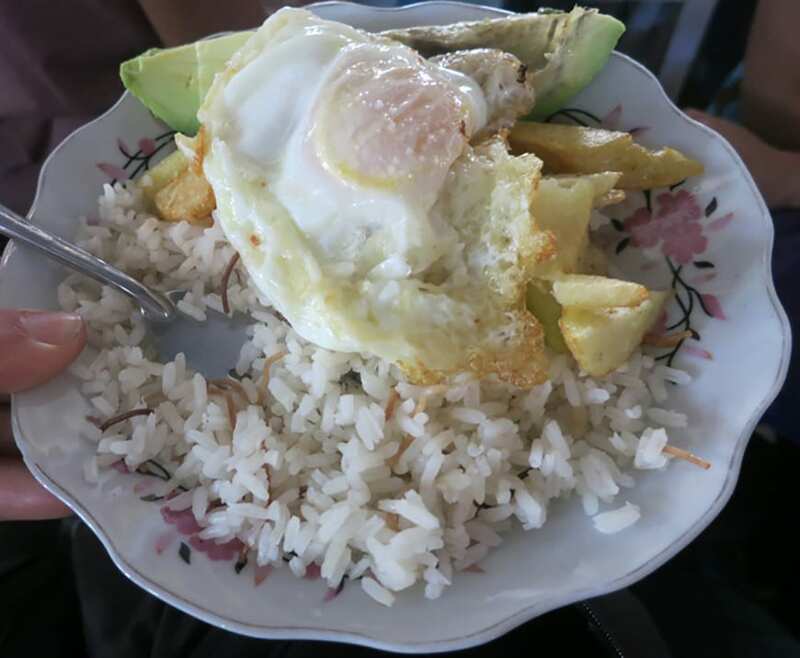 It’s not a budget place, meals cost anywhere from 24 to 50 soles ($7-15), but you get good traditional Peruvian food like cuy (which you can have baked or deep fried). I got the lamb stew and it was quite filling although very heavy. My friend ordered the cuy with a potato side dish and she liked it as well. More than the food, however, what sets La Cusqueñita apart is the cultural performance it staff holds every 15 minutes or so. They’re quite professional and you get a glimpse of Peruvian culture through their dances. They change costumes, too, so essentially, you get a good introduction to Peruvian culture when you get here, through their food and dance. The place was big and clean, and the wait staff were quick and responsive. Note that this place is popular and might be full at lunchtime. I love a good steak and chips when I’m at home in England, so getting to try the Peruvian version in Cusco made me very happy indeed. Lomo Saltado is stir fried steak with onions and tomatoes, served with chips (French fries) and rice, and is seriously delicious! 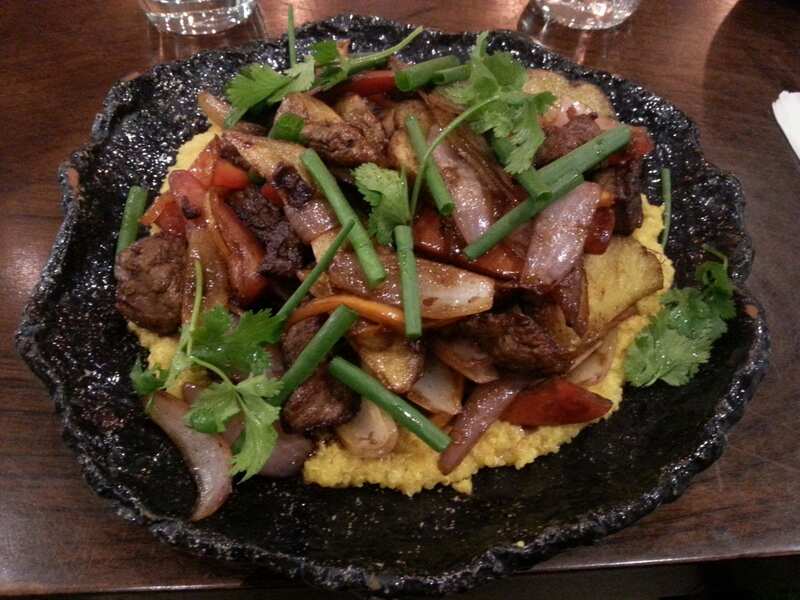 The dish is thought to have originated as part of the ‘Chifa’ Chinese food in Peru when Chinese immigrants in Peru mixed their style of cooking with Peruvian food to create a delicious fusion of both cuisines, but lomo saltado is now a part of Peruvian culture. 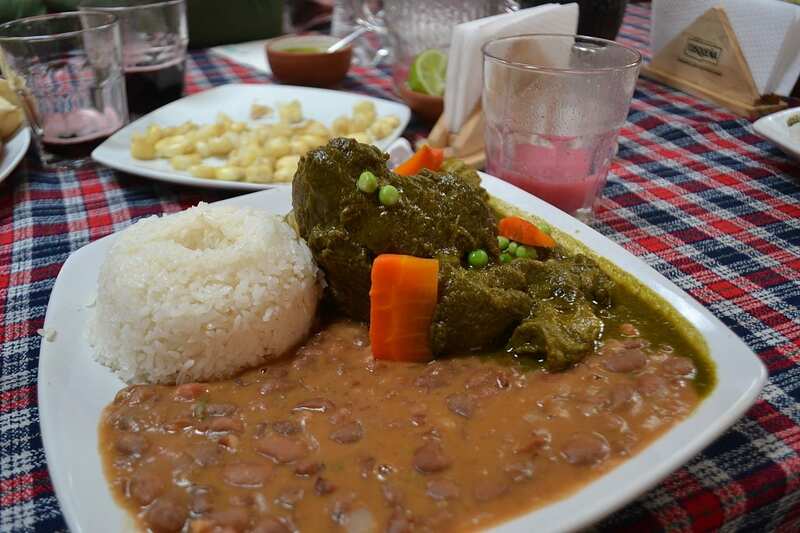 I first tried the dish in Cusco, at the beginning of my two-month visit to Peru. Morena Peruvian Kitchen was just down the road from my hostel in Cusco and looked great from the outside (which usually means it will be a tourist trap!). However, after reading all of the glowing reviews I decided to give it a try, and I am so glad I did! The beef steak was moist and juicy, and the chips mopped up the sauce as I ate. The combination of stir-fry with chips really does work! After trying lomo saltado here, the dish became a firm favourite of mine, and although I tried the dish in many other restaurants all around Peru, this one in Cusco was the best! We arrived in Cusco after a 10-hour red-eye flight. Needless to say, we were incredibly hungry and in need of a good meal when we landed in the amazing city. We searched for the best restaurants in Cusco, but one place caught my eye. Chakruna Native Burgers in the center of the city had glowing reviews and vegetarian options, which was perfect for us! When we walked in to look at the menu we were immediately drawn to the price. 9 sols for a burger, fries, and drink is a great deal. Even in Peru! We opted for the vegetarian burger and were absolutely blown away by how fresh, healthy, and filling it was. We sat in the small restaurant and enjoyed our sandwiches and delicious fruit juice vowing to return before we made our way to Machu Picchu. Before we left I found out that Native Burgers Chakruna is actually a family project that promotes Peruvian food and culture through their products. They even had a little gift shop filled with handcrafts from Cusco. If you're ever in Cusco make sure to seek this place out. They have all kinds of burgers for everyone. Organika Restaurant in Cusco lives up to the hype. It is a small restaurant that is always busy and brings the farm to table concept to Cusco as they serve organic food grown in the sacred valley. I would call it fusion Peruvian food. Their story - We are an organic, natural, and healthy restaurant where you can enjoy delicious meals and original recipes. 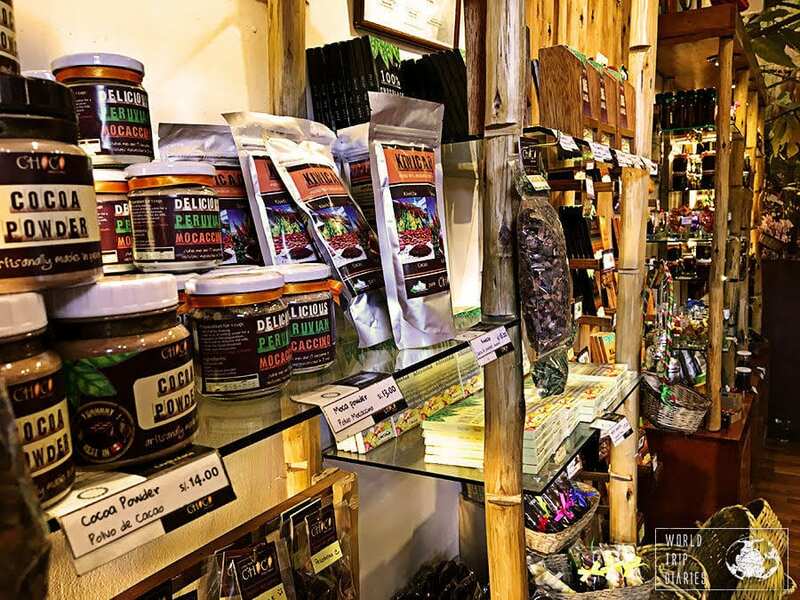 The products we use are harvested from our very own garden in the Sacred Valley of - Urubamba. I was able to try the llama with homemade gnocchi. This dish was rich and decadent and had me wanting more. In fact, I loved everything I had at Organika and went twice during the week I spent in Cusco. I had a fresh lemon and mint drink that is popular in this area which was also delicious. I was so full after my meal I wasn’t able to order dessert but I have heard their chocolate lava cake is to die for. You honestly cannot go wrong with anything on the menu as it is all michelin star quality food. Just what you need after a long day of hiking in the sacred valley.. The Central Market of San Pedro is located in the center of Cusco, not far from Plaza de Armas. This is the covered market for the locals, where you can find things like food, drinks, plants or basic items for the house. San Pedro also has some food stalls inside proposing cheap, local food for the people working in the market and locals passing by. However, during the last years eating in the market has become another of Cusco’s tourist attractions, especially for budget travelers looking for a hot meal for a few cents and a glimpse of local life. What can you eat at the Central Market of San Pedro? Usually, every food stall has a couple of things to propose like broth, meat (lomo, chicken), salchipapas (fried sausages and potatoes), rice, avocado (if you are lucky) and fruit juices. In San Pedro Market there is no way for fancy tables or things like that. There are just long tables with long benches or plastic stools where people are invited to share their meal with the others and leave as soon as the plate is clean. I have been to Cusco twice and during each visit, I ate at the Central Market of San Pedro at least once. Perhaps, this is not the best food in Peru (some may say everything is too fried) but it is genuinely local and cheap. Our first meal in Cusco was one of the best. We started our trip to the country with one of the best known Peruvian dishes on the rooftop terrace of a fabulous little restaurant. Marcelo Batata is located away from the main square and sits over 3-4 floors. The terrace might be small but the views over the back of Cusco cathedral are worth climbing the stairs for. I can recommend the Causa which was the first time I tried one of Peru’s best known dishes. The dish originates from the last century during the war between Peru and Chile. Potato was the only food available so the wives of Peruvian soldiers invented a cold potato salad ‘for the cause’. It’s come a long way since then. Golden potatoes are mashed with lime, oil and hot aji Amarillo sauce for the base. The next layer is avocado topped with crispy black sesame covered chicken which is dressed with black olives and hot chilli chimichurri. We’d just stopped by for a beer and a bit of lunch and didn’t expect such a work of art. The food at Marcelo Batata is excellent, beautifully presented, reasonably priced and with good service. I’d happily go back. Cusco is an amazing place for foodies, almost every meal at any restaurant feels like heaven. Amongst all of the deliciousness, one that I loved the most was Inkazuela. 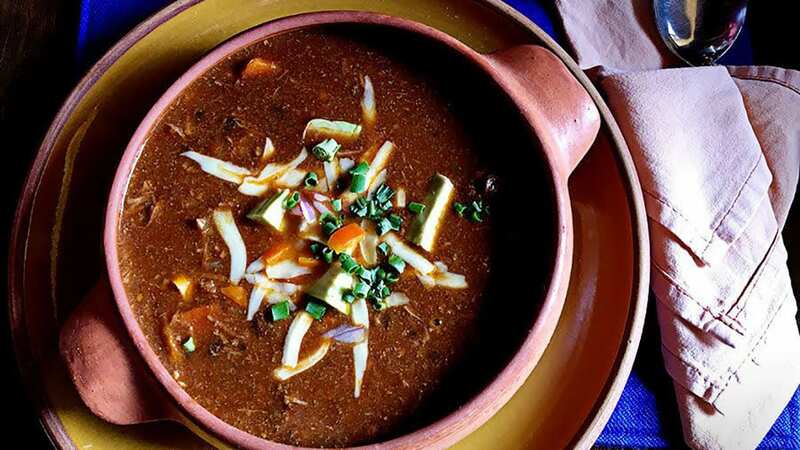 They serve traditional and modern soups and stews in earthen bowls, called cazuelas. There are many other options for 'dry' food, but don't miss the cazuelas. They give the place a name for a reason. The smell is delicious and the food is to die for! My absolute love was the spicy traditional vegetarian chili soup, and my husband loved the alpaca stew (yes, it's a thing). The traditional bean soup is divine too, and I believe any soup or stew there would be just so. It's a warm and cozy restaurant on the second floor of one of the buildings by Plazoleta Nazarenas, and even if it's not the cheapest option, it's very worth a visit! It was nearly empty because it's out of the main square, so if you need a little bit of quiet without the pushy restaurant people pulling you to their restaurants, this is the place to go. The views are also really good, so make sure you ask for a window table. When I visited Cusco for the second time I've had the opportunity to explore longer the city without the pressure of a first timer, wanting to visit every place at once. Sometimes, the most touristic areas are having a huge "no" sign for frequent travelers as we tend to think the shops and restaurants there will be a tourist trap, meaning high prices and low quality on food, service and authenticity. Inka Grill Restaurant was a huge surprise! Located right there in the main square, the very center Cusco and where most of the action happens. Despite of being very skeptical I gave it a try one night, and it was so good that I ended up going back three more times! They have a simple yet warm-feeling decoration, with comfortable chairs and no bright lights. The service is perfect, very attentive, quick and ready to explain every dish and to help you to choose the best wine for your choice. It's a good place to dine alone, with a partner or a bigger group as they have different set-up for their tables. I loved that no one seemed surprised to see me having dinner with myself. Their menu is having a great variety adapting international preparations with local flavors. 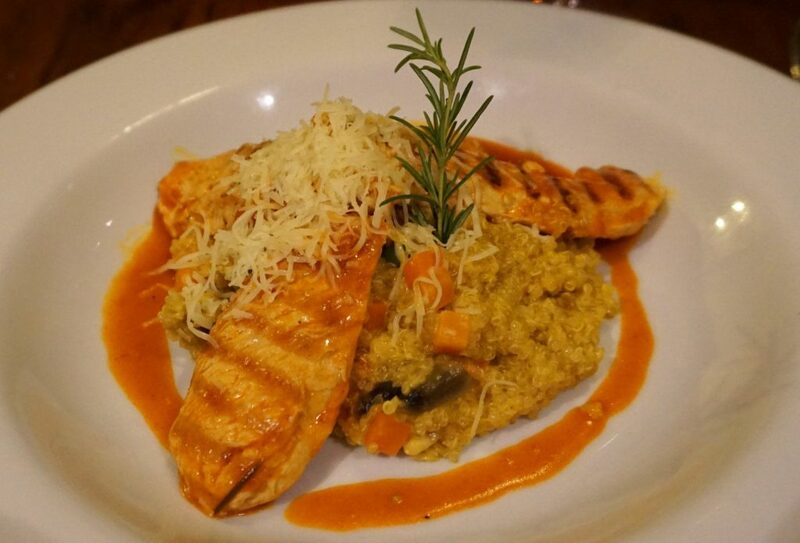 My favorite dish was their quinoa risotto, it was so good that I had to go back again to get it one more time. The desserts are as well something to give it a try! If coziness and comfort is what you seek, then this is the place you will want to be. Not only will you enjoy great Cevicheria, but the wine selection is good too. This lovely spot offers a combo for two to enjoy. Get it and enjoy the freshness and value of your Cevicheria. Get ready for the best ceviche at this immaculately-kept restaurant. You will dine in beautiful surroundings while enjoying freshly prepared seafood. Get a lemongrass lemonade for your drink to complement the meal. One of our favourite restaurants in Cusco is Nonna Trattoria. We ate a lot of local food during our trip in Peru, and loved it of course. But we had one night in Cusco when we craved a change, specifically pizza! After searching on Tripadivsor, we found Nonna Trattoria, which was near the hotel we were staying, so we checked it out. It’s perfect! This is carb heaven, which you’ll no doubt also be craving after being in the altitude so long. Nonna Trattoria is an unassuming quaint shop, with a large pizza oven, and tables. It’s popular with locals and other travellers. The main point however is how damn delicious their pizzas are. Firstly, they are thin crust like you’d find in Italy. They’re served fresh out of the oven using fresh ingredients. The pizzas are also very cheap, and come in three sizes – small, medium or large. On our first night we naively got a large takeaway to share between us. It was so tasty that we went back to get another one. We loved it so much, we came back for dinner two more days in a row to load up on our carbs before tackling the Inca Trail. 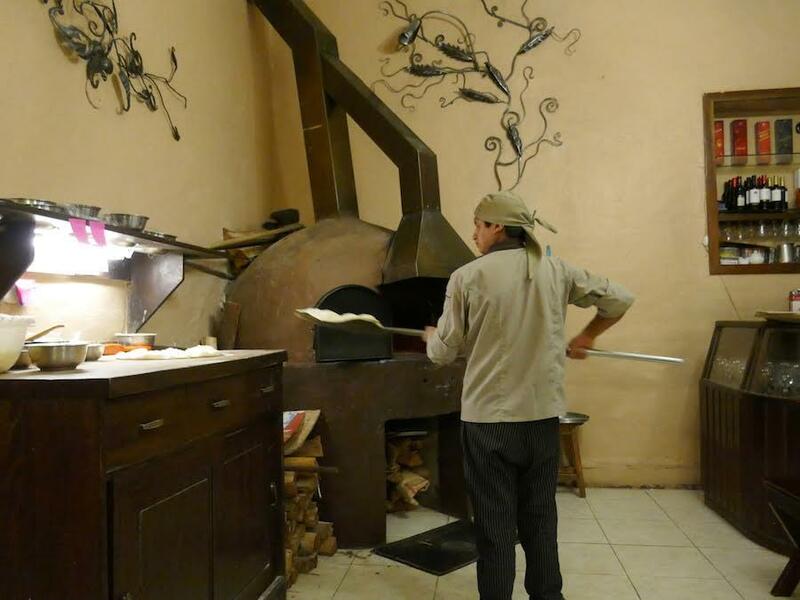 If you’re craving pizza in Cusco, we highly recommend Nonna Trattoria! If you love Indian and you love Peruvian food, come here. You must try the Tandoori Cuy. You can also indulge in any other great Indian dish. Come have your lunch on a beautiful balcony while enjoying Peru’s favorite meals. The alpaca here is truly one of a kind, and the mushroom cream is delightful. Great prices, authentic taste, and live music? What more do you need? Well, perhaps a plate of their Malay. Dining here is a fun experience to savor. Here is a place to get authentic, tasty Peruvian foods with fantastic service. We think you will love the view. 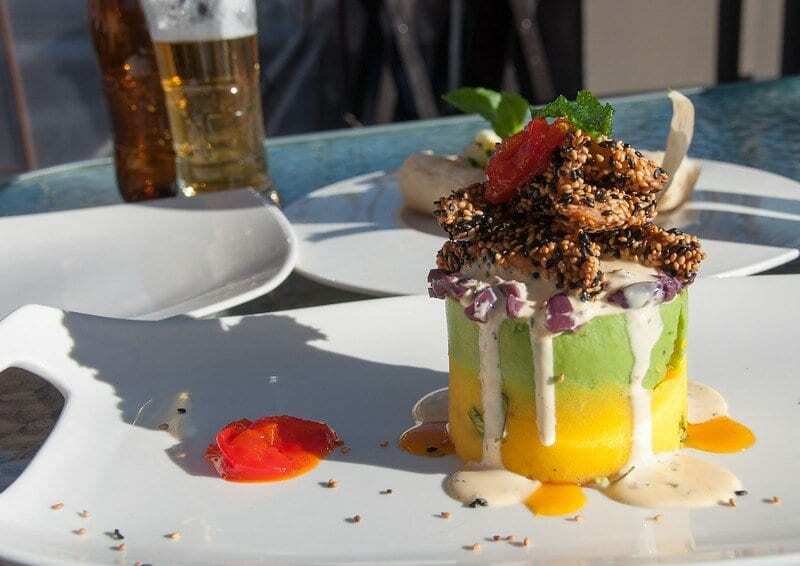 One of the best things to do in Cusco, Peru, after having spent a few days puffing along the Inca Trail and eating the very basic meals provided during the hike is treating oneself to a fabulous meal in one of the many restaurants in Cusco. The city is packed with budget eateries and upscale restaurants, so there is ample choice. Meat lovers should head strait to Uchu, located in Calle Palacio 135. As this is a very popular restaurant, it may be worth making reservations at reservas@cuscodining.com or calling the number +51 984 115 587. 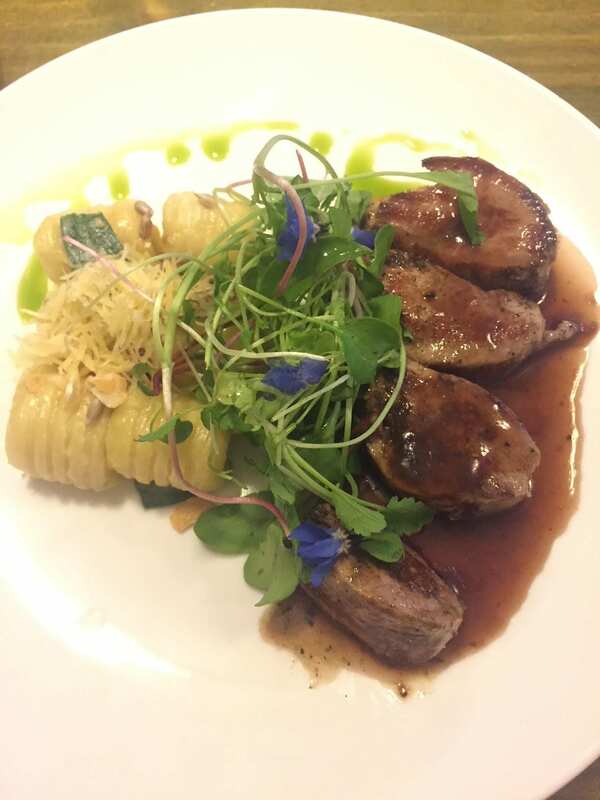 The setting of the restaurant is lovely: dim lights, cozy environment and fantastic, welcoming service are all great introductions to the place. Yet it is the food that makes this place a must. Several cuts and kinds of meat are served directly on the grilling stone, so that guests can cook it to their liking. Meat is usually accompanied by a variety of side dishes and salads, all seasoned to perfection. There is a very good wine list, and the dessert are to die for. It is a pricey place, but worth every cent. To top this off, foodies can even join one of the regular cooking classes on offer. Jack's Cafe is a backpacker institution in Cusco. It's in every major guidebook and gets recommended by most travelers. Which to be honest, made me a bit wary of the place to start. Another Western food established on the Gringo Trail wasn't exactly what I was after in this ancient Inca city. But this place is a reminder to never judge a book - or a restaurant - by its cover. In fact, I ended up liking the food so much, I went back at least three times during my time in Cusco. Sure, some of the food is Western, and it's absolutely delicious. But there are also plenty of fusion dishes to cater to every palate. The portions are also massive, and come as a welcome treat after all the adventurous activities in the area. Not to mention the coffee's completely local (and delicious) and comes in the most adorable alpaca mugs. So if you're in Cusco, definitely have a meal at Jack's. You'll be charmed by it's cozy atmosphere and fully seduced by its delectable food. Qucharitas is a great option if you’re looking for a quick bite to eat or something to satisfy your sweet tooth in Cusco! The main attraction here is the variety of desserts and treats on offer – from ice cream to crepes to waffles. In particular, the ice cream is a favorite with countless variations of flavors, fruits and toppings possible! Ice creams start from just 5 Soles for a small, which is great value considering how good it is! Although the desserts steal the show, Qucharitas has more to offer. If you’re more of a savoury person, then you can opt for a savory crepe, Panini or Ciabatta. You’ll have the choice of plenty of fillings from meats to cheeses to vegetables! Don’t worry if you’re lactose or gluten intolerant, as they have alternative products available too – so you don’t have to miss out! To top if all off, the staff are incredibly friendly and helpful, which makes eating there that extra bit enjoyable. 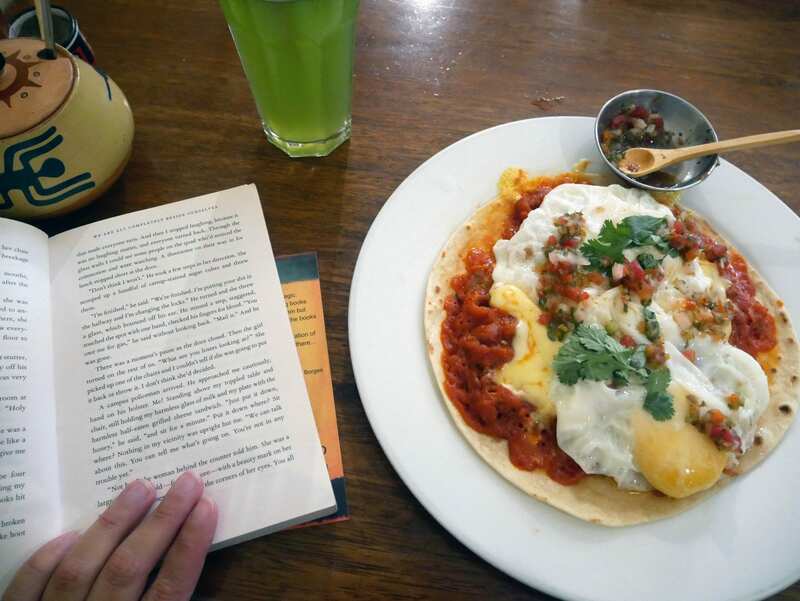 There are just so many options at Qucharitas, you’re bound to find something you like on the menu – so make sure to stop by when you’re in Cusco. You’ll find it hard to resist going back for more during your time in the city! Chocomuseo. The name says it all, doesn't it? It's the museum of chocolate. It just couldn't be any better. The museum tells the history of the chocolate with a little bit of the Peruvian chocolate, and it's pretty cool. They also have just the best chocolate store in the world, with so many things made out of chocolate that I could buy everything. Chocolate shampoo, cocoa tea, oils, lip balm, liquor, and whatever else can be invented. Let's not forget the amazing chocolate bars. The small restaurant, serving desserts and a few savory plates, is amazing. It gets quite crowded, so take your time around the shop while you wait for your table. From fudges, cakes, and mousse to fondues and sandwiches, hot chocolates, teas, and coffee, it's THE place to go when you have a sweet tooth. They even serve chocolate liquor - you can also only try them at the store! If you have the time, you can even take a workshop - learn how chocolate is made, from the cacao bean to the finished chocolate bars. It's a hands-on experience with lots of local culture and knowledge only a local could offer. There are 2 locations in Cusco, one is at Plaza Regoncijo (the biggest branch) and one at 12 Corner Stone. There's no missing it. This is a wonderful place to get an English breakfast. The coffee rivals that of a coffee shop’s, and you also help disadvantaged families by dining here. Here is a nice, classic breakfast place to enjoy. Get some fruit and sandwiches and enjoy the ambiance while you eat! Get some cakes, too. This will be our pick for breakfast sweets. Come here if you have a sweet tooth-you can enjoy fillings that fall right out of the pastry! Order the guinea pig-it is freshly grilled while you wait. It is a bit of a wait for this, but the freshness will be worth it. You will enjoy the cozy, clean space with your friends. If coffee is the name of your game, here is where you need to be. You can hook to the Wi-Fi, order a nice sandwich, enjoy a sweet treat and a cup of amazing coffee. Get the Japanese drip coffee. If you are vegan or even gluten free, this is a great place to go while on your visit. We recommend trying the raw zucchini spaghetti, and make sure you get a side of spicy sauce. It will make your food out of this world! Come here for the friendliest prices and kindest meals you ever had! Even if you are vegetarian or a meat-eater, we know you will be happy with what you eat. Cheap and filling are the keywords here. You will enjoy the great prices. 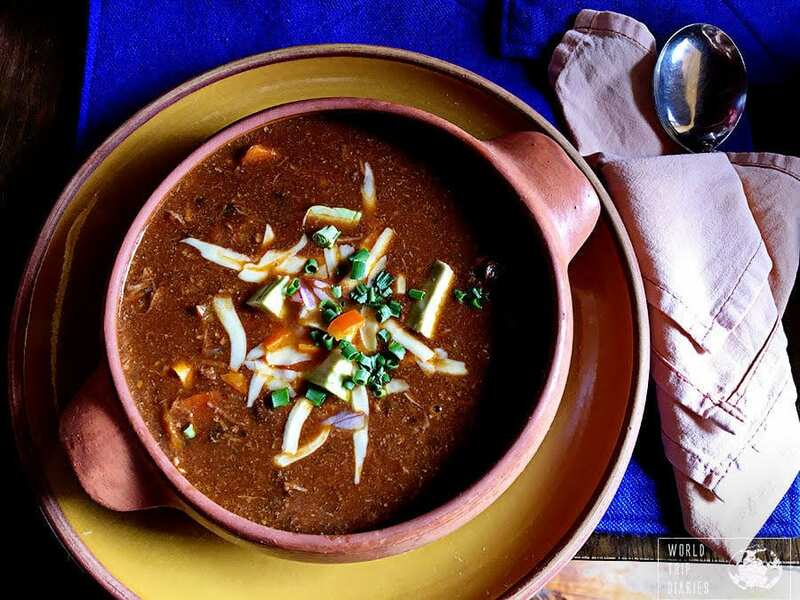 We recommend the lentil soup for a tasty, reminiscent of home meal.